Weblog Entry - 09/11/2003: "Big drums, inner child"
09/11/2003 Entry: "Big drums, inner child"
Stole this from Paddy, who, by the way, posted like a madman yesterday! 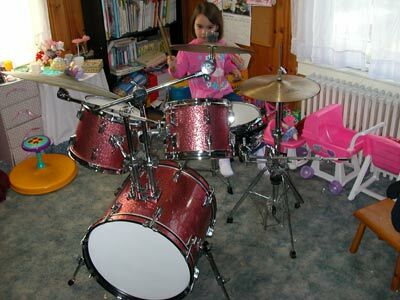 Gigantic drum kit for sale on ebay. "23 Drums, 33 Cymbals and 6 Gongs." Yikes! "This kit was built where it sits. It has never been out of my house and when it was played, it was always by me." I don't doubt that!